Hot tubs have become increasingly popular — with good reason. They can be used year-round, thus giving you a better return on your investment. A spa shelter is a great way to get even more use and pleasure out of your hot tub. Hot tubs promotes relaxation, offers all of the benefits of hydrotherapy and, with its therapeutic qualities, it can be a boon to people with back pain and sore muscles. In fact, the word “spa” is an acronym for the Latin “salus per aquam”, which literally means “health from water.” Ancient cultures – including the Egyptians, Greeks, and Romans – used spas for therapy and relaxation. Need inspiration? Just contact us or have a look at the many pictures sent to us. 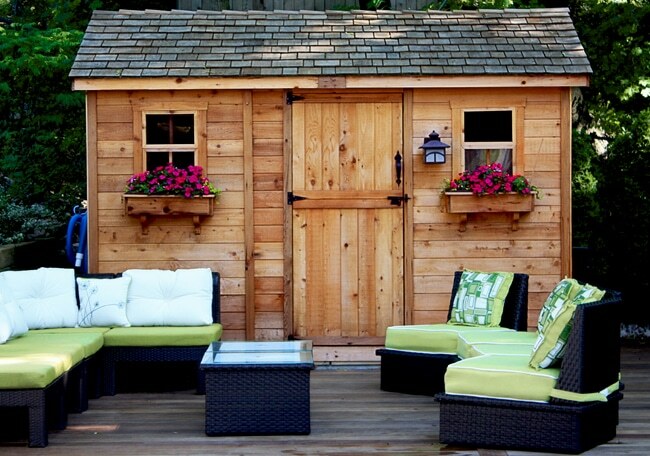 Create your own backyard paradise at Outdoor Living Today.